This post is a little late. I was planning to have it up yesterday but ran out of time. Anyway, my nails of the (yester)day. I received the Deborah Lippmann Whatever Lola Wants in a Topbox a few months ago and this is the first time I've worn it. It's a beautiful shimmery pink, but it's sheer. Very sheer. It's meant to be sheer though. Even after three coats, it's no where near opaque. That's why I used a base first. 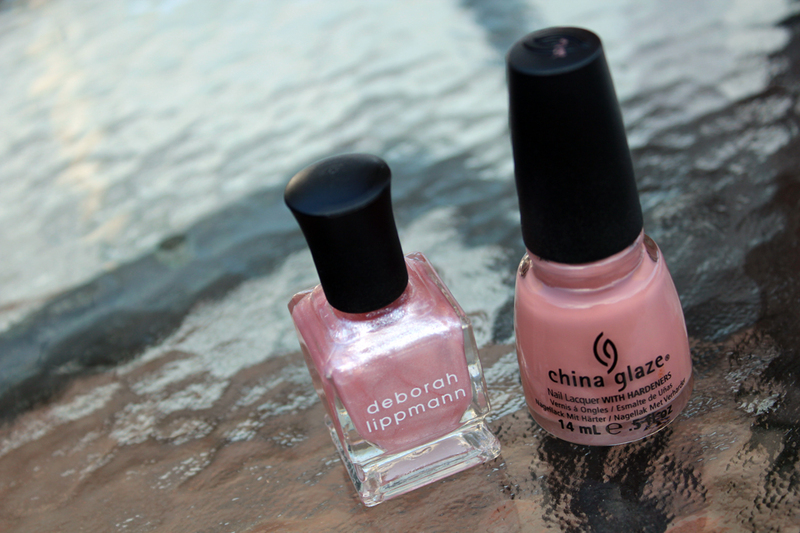 I went with China Glaze Dress Me Up, which is a duty rose. The end result is beautiful, almost holographic. I love the way Whatever Lola Wants sparkles. It's stunning on. That is the PERFECT base for that polish! Ive tried it out soo many times and it's hard to pair up. I love Whatever Lola Wants! I put it over anything/everything -- the quality is amazing!